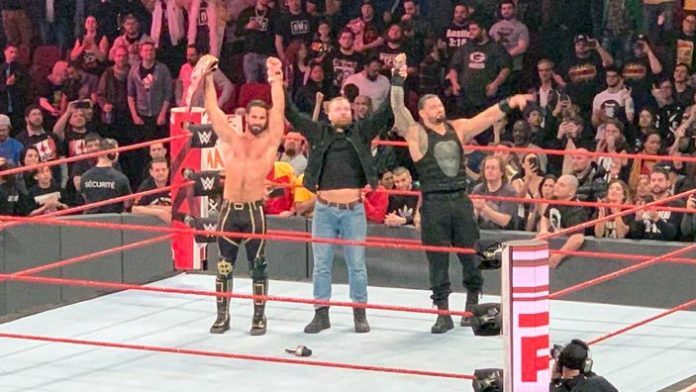 This week’s episode of Raw was live from Bell Centre in Montreal, Quebec, Canada and it saw Seth Rollins and Roman Reigns teaming up with AJ Styles for a 6 men tag match in the main event of the show. After their match, the cameras stopped rolling and AJ went backstage but the Shield Members remained in the ring for an ending segment. Seth took the mic and called out Dean Ambrose by referring to the fact that his wife Renee Young is also Canadian. This week’s episode of Raw served as the first part of the Superstar Shakeup and it saw stars such as Rey Mysterio and the Miz switching brands and joining the Red Roster. However, the brand’s biggest acquisition for the night has to be the former WWE Champion AJ Styles who made his return to the show during the main event.